The Ultimate Guide To Fences and Gates, includes over 750 designs!, DIY plans..
750 Fence and Gate designs! The Ultimate Guide To Fencing and Gates! SAVE hundreds and increase the value of your home by designing and building your own decorative fencing and gates. If you are about to build your new fencing and gates, download this guide and save valuable time and money! Our guide to fences and gates includes designs for timber, steel, glass, brush, stone, Iron and brick fences plus construction information and BONUS FREE guide books for all purchases online! wooden gates and includes step by step instructions, pictures, illustrations, plans and tips from the experts! Design and build your own decorative wood gates, save money and increase your home value! Purchase online and receive these FREE bonus guide books, ‘How to build wood paling fences’ and ‘Understanding Footing and Foundations’. Build your own wooden paling fences easily with this guide book ‘How to build paling fences’. Get tips from the experts that save you time and money on your next boundary fence! This guide to footing design explains in simple language how to construct footings for decks, pergolas and fences. A must have guide for all home handymen! Whether your needs are security, sound insulation, wind or fire resistance, All Day Fencing can help with the perfect solution. We cover all states and most counties. Get a FREE estimate on your next fencing project online at www.alldayfencing.com. 750 Fence and Gate Designs, design and build your fencing! Included FREE with the 750 Fence & Gate Designs is a detailed construction guide for solid wooden gates and inc ludes step by step instructions, pictures, illustrations, plans and tips fr om the experts! 750 Fence and Gate designs also includes FREE extra guidebooks tool care, tool selection and safety manuals. All guides are valued at $19.95 to $29.95 but are included FREE with all online purchases! See our website for more information: www.alldayfencing .com. Build your own traditional timber picket fencing. Our fences are designed to enhance the look and value of your home! Combine entrance arbors or pergola’s with your picket fencing to give your home a distinctive look and add maximum street appeal. Picket fencing is available in heights of 900mm 1.2m, 1.5m and 1.8m. Custom shapes and designs are easy with timber picket fencing. 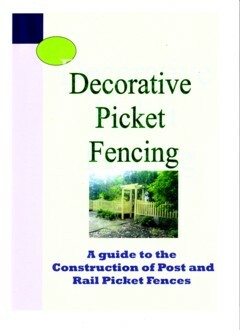 Download our guide to picket fence construction to save you time and money on your next project! The guide to constructing picket fences also contains tips from the experts, timber picket designs, suggested materials and suppliers, installation techniques, pictures and more! Recieve FREE bonus guides to footings, wood guide, safety guide, tool guide plus wood spantables to help you choose the right wood everytime! This construction guide will save you time and money building a traditional wooden picket fence. Add Value To Your Home with Traditional Picket Fences and Gates! features and can be fitted to pergolas, gazebo’s, decks or wherever you might imagine. Slats are available in three common sizes, 42mm 66mm and 92mm wide. Other sizes can be custom made. The most common timbers for slat fencing is the treated and primed timber for painting, and the Western Red Cedar for the natural timber look. 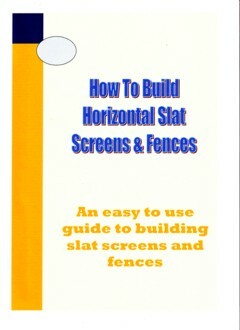 If you want to build it yourself please download the ‘Guide To Slat Screen Fencing’ from our website, www.alldayfencing.com. The guide includes plans, illustrations, pictures, tips from the experts and an easy to follow step by step guide for handymen and tradesmen alike! Slat Gates can be lined on one side (single sided) or both sides (double sided). Single sided slat gates are 43mm thick including the frame. Double sided gates are 60mm thick. How to build and repair retaining walls easily! Retaining walls may look like simple stacked stone, block, or timber. But in fact, they’re carefully engineered systems that wage an ongoing battle with gravity. They restrain tons of saturated soil that would otherwise slump and slide away from a foundation or damage the surrounding landscape. Retaining walls are designed to compliment the landscape as well as providing structural strength and drainage solutions. These handsome barriers also make inviting spots to sit, and can increase usable yard space by terracing sloped properties, something that is increasingly important as flat home sites become ever more scarce in many regions. Along with sloped landscapes where water runoff causes hillside erosion, ideal locations for a retaining wall include spots downhill from soil fault lines and where the downhill side of a foundation is losing supporting soil or its uphill side is under pressure from sliding soil. Repairing and building retaining walls is simple with the guide book ‘Retaining Walls Made Easy’ available for instant download from www.alldayfencing.com. Build your own fencing and gates, increase home value! All Day Fencing have published a comprehensive website containing many styles of fencing and gates including, picket fences, panelling, paling fencing, horizontal slat screens and fences, cedar fencing, automatic custom gates and retaining walls. you will also find information on legal requirements for fencing, fence laws, neighbour dispute resolution services, swimming pool fence regulations and much more. Whether you needs are decorative, security, sound insulation, retaining, wind or fire protection, All Day Fencing can provide the perfect solution! Visit www.alldayfencing.com to view our designs and DIY plans and guides!